No matter how you enter your payment, the amount you can afford to pay is always the Payment amount in your card's payment category. Want to see the effect of your payment before you make it? 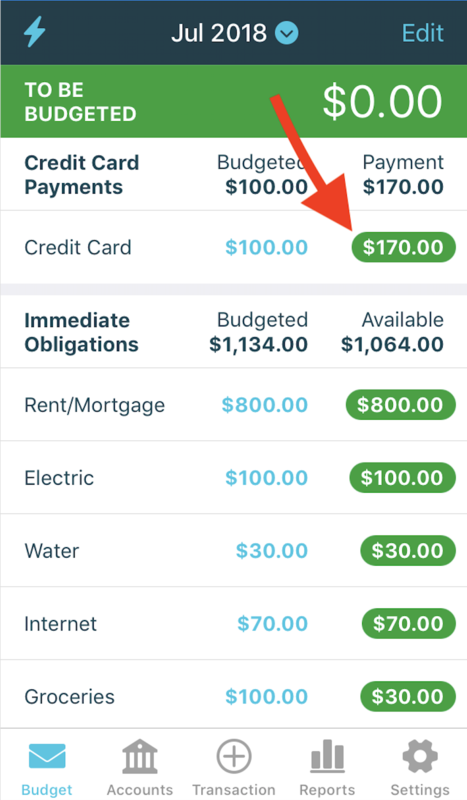 Go ahead and tap on that credit card payment category, then on Details, and you'll get a summary of what your balance will be, and how much debt (if any!) you're leaving behind.